Using PentaCake Emulsifiers leads to improved air retention and enhanced batter aeration, followed by low specific gravity. Consequently, the cakes are fluffier and with a higher volume. 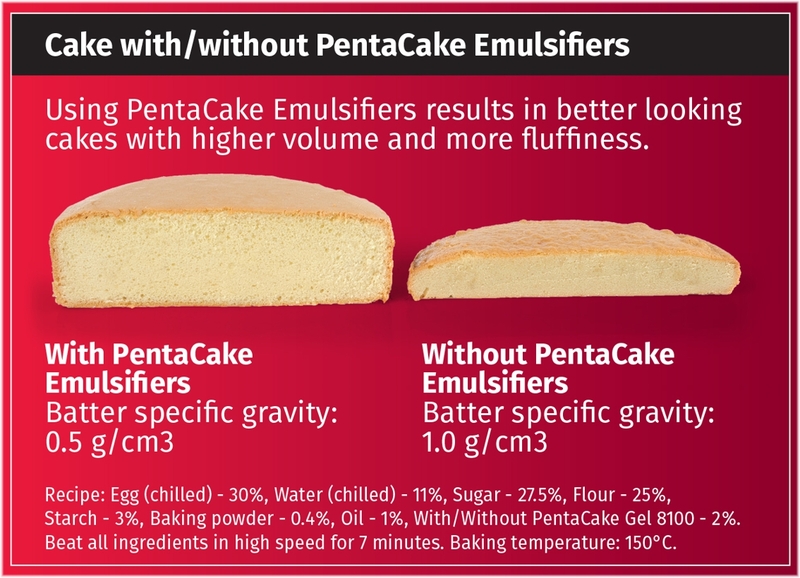 PentaCake Emulsifiers provide homogenous air dispersion in the batter, which results in smoother and more attractive cake surface, along with smaller and more uniform internal holes. 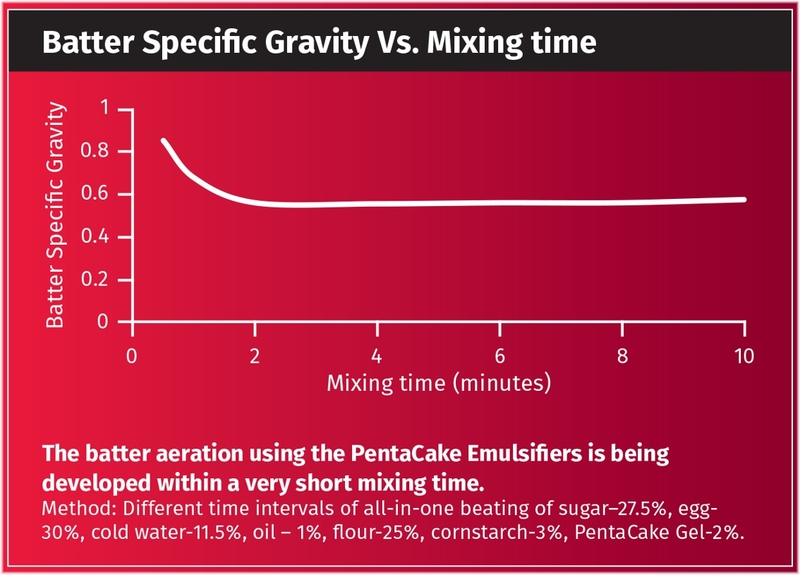 The optimum balance of the emulsification system thanks to PentaCake Emulsifiers leads to softer cake crumbs and better humidity retention for a longer period. 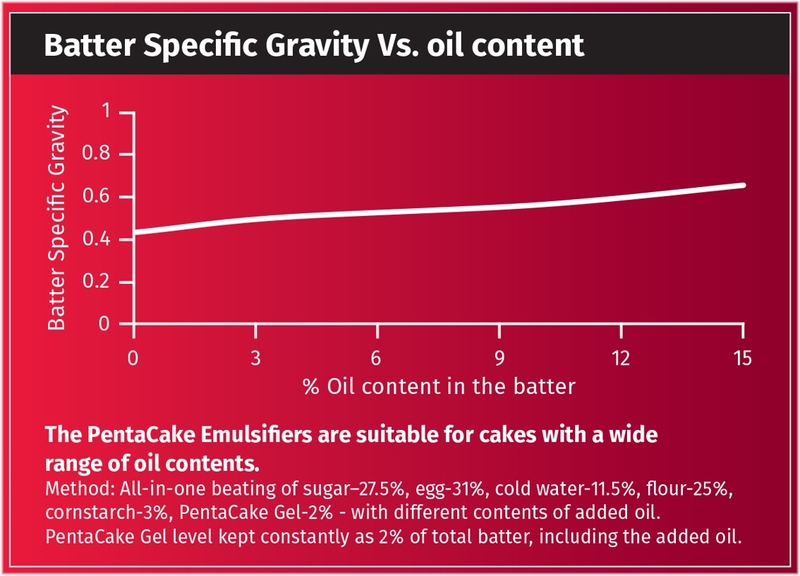 PentaCake Emulsifiers are also suitable for cakes with high oil levels. Therefore, there is an additional indirect impact on the softness, moistness and mouthfeel. 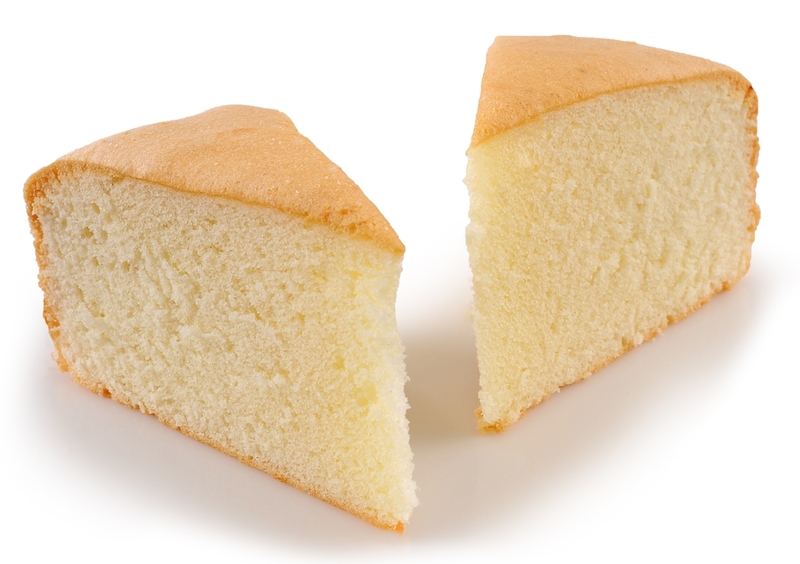 PentaCake Emulsifiers enable egg reduction and eliminate the need for margarine, which is more costly than oil. The lower cake specific gravity provides cakes with bigger volume, leading to additional saving. PentaCake Emulsifiers can be implemented in different types of sponge and batter cakes, with different oil levels including: Pound Cakes, Muffins, Cupcakes, Sponge Cakes, Layer Cakes, Swiss Rolls, Chocopie, Jaffa Cakes and more. All-in-one process can be implemented with significant improvement of the batter aeration capability. PentaCake Emulsifiers are compatible with both planetary mixers and continuous mixers. While using the latter, PentaCake Emulsifiers have the processing advantage since the major aeration occurs in the aeration chamber and not in the initial mixing or buffering tank.